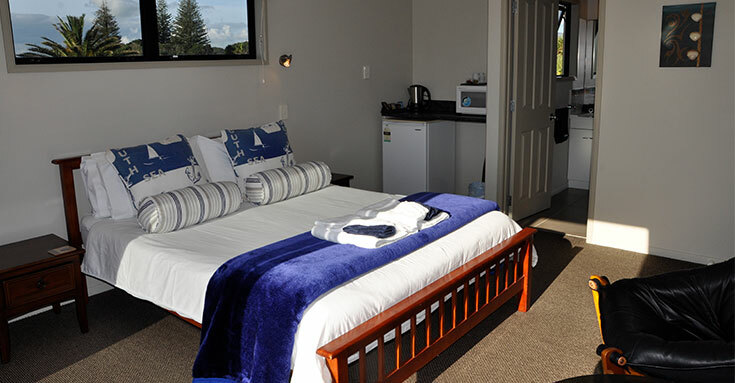 Experience Northland’s wild west coast in comfort! 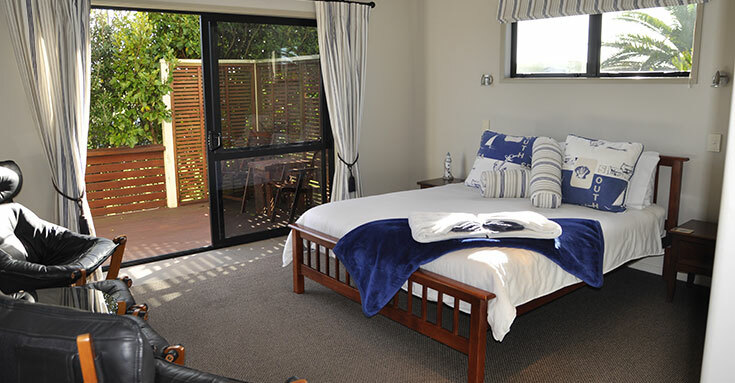 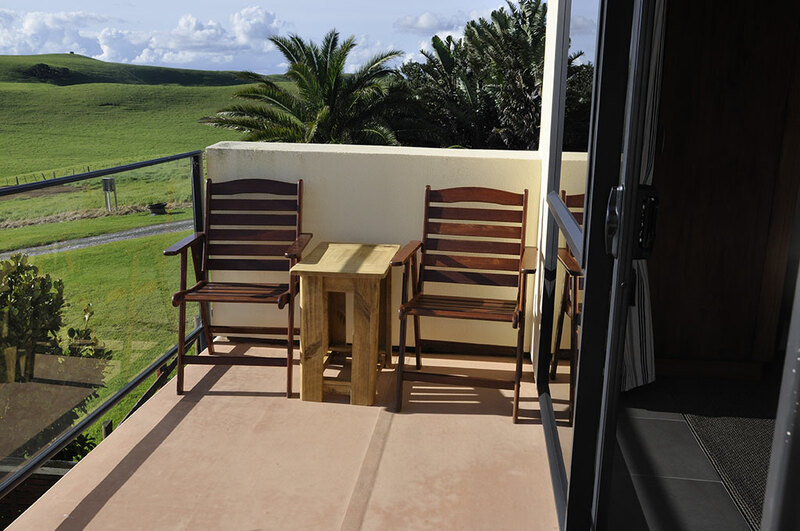 Our accommodation in the village of Baylys Beach offers six guest suites with luxurious beds and modern furniture. 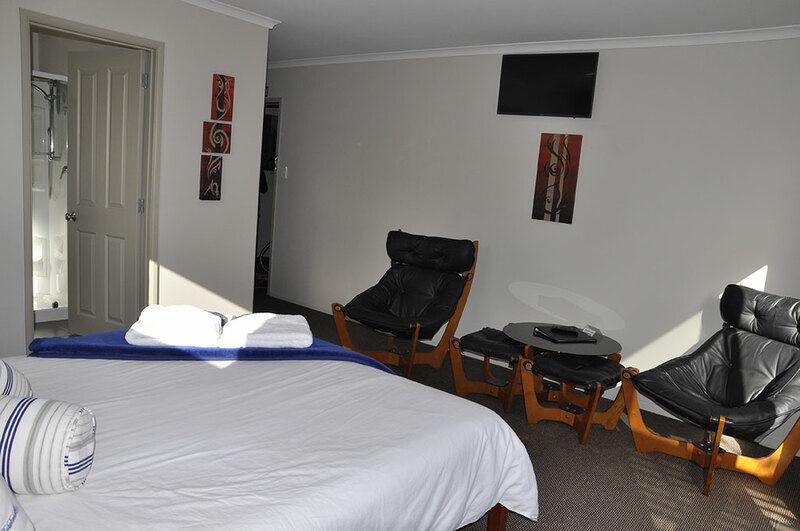 It’s comfort, which our reviews frequently acknowledge. 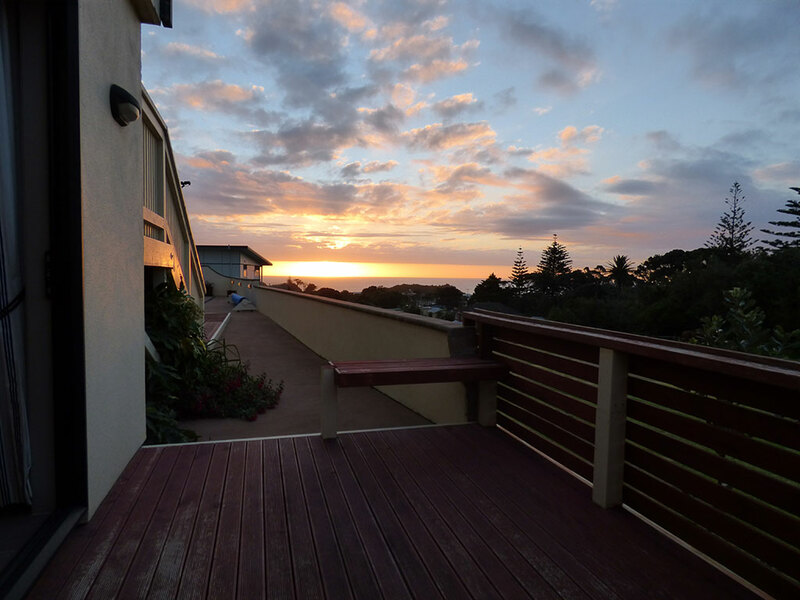 The upper three suites at Sunset View Lodge have outstanding views over the Tasman Sea to the horizon, where a favourite way to relax is to sip a glass of wine while watching the sun set. 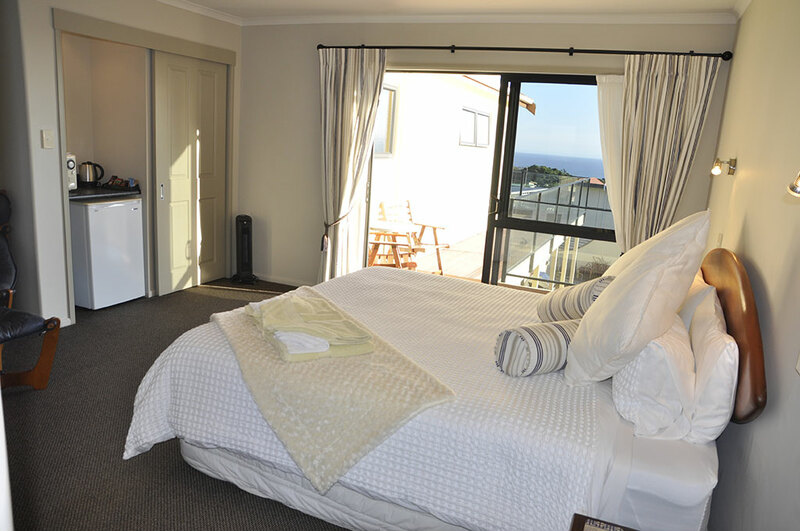 There is a limit of two guests per room except for the Seashells Suite which has two singles and a rollaway if needed for three single beds. 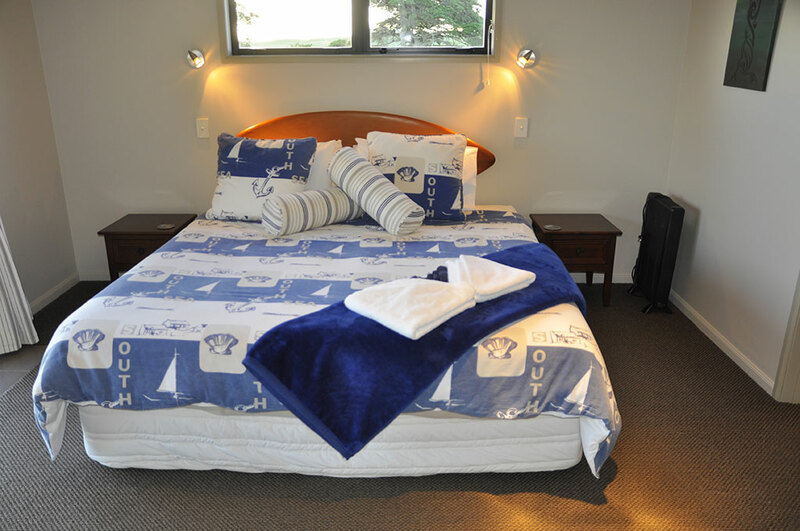 A rollaway bed can be used also in the Shipwreck Suite and Tasman Suite. 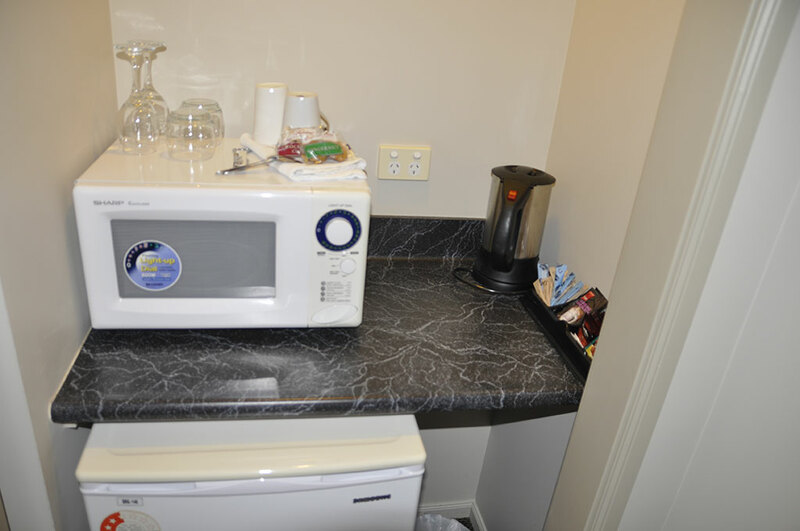 We offer our guests a free continental breakfast and free Wi-Fi. 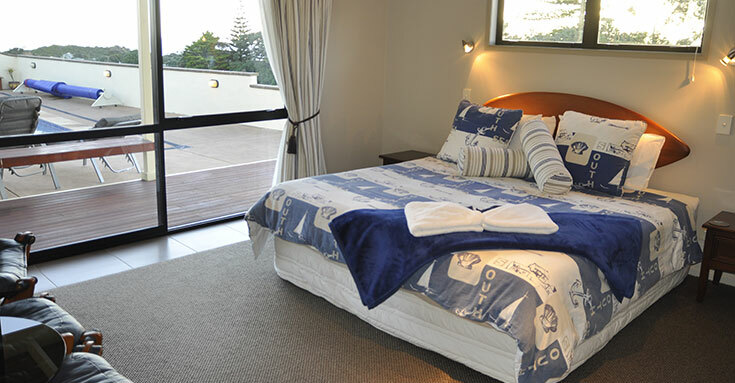 The swimming pool is always open for a soothing swim in resort-like conditions. 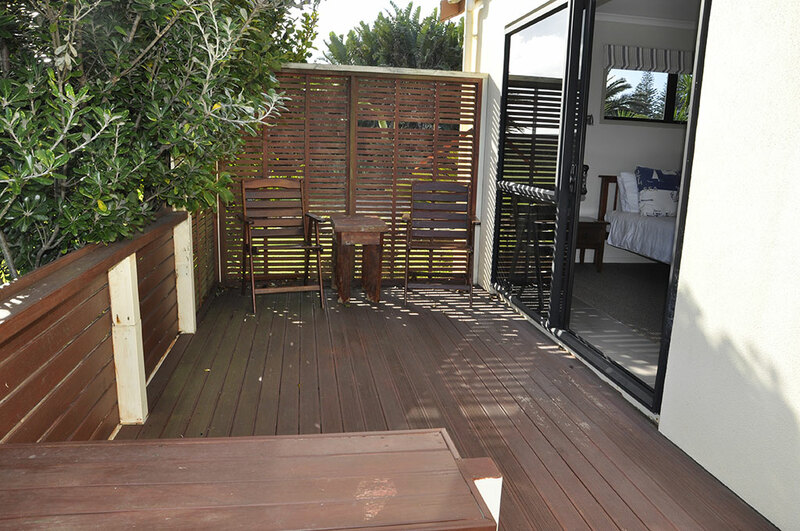 The pool area also offers a BBQ for guest use, a large outdoor dining table and chairs, and loungers for a perfect relaxing afternoon. 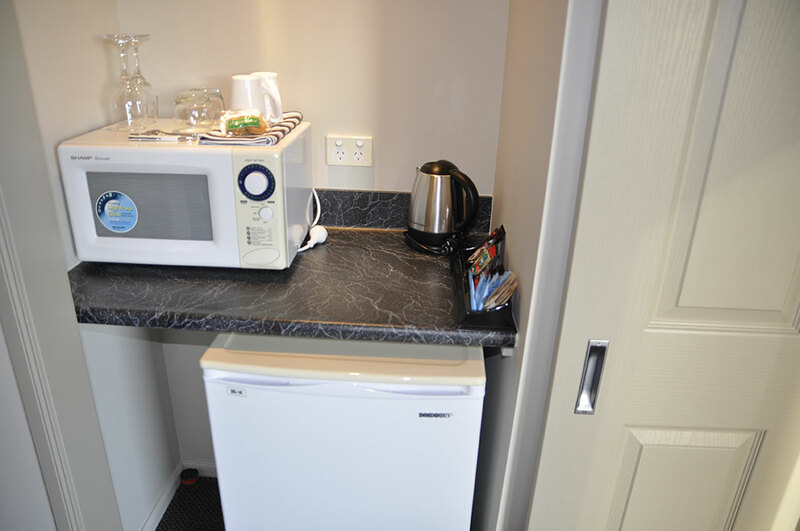 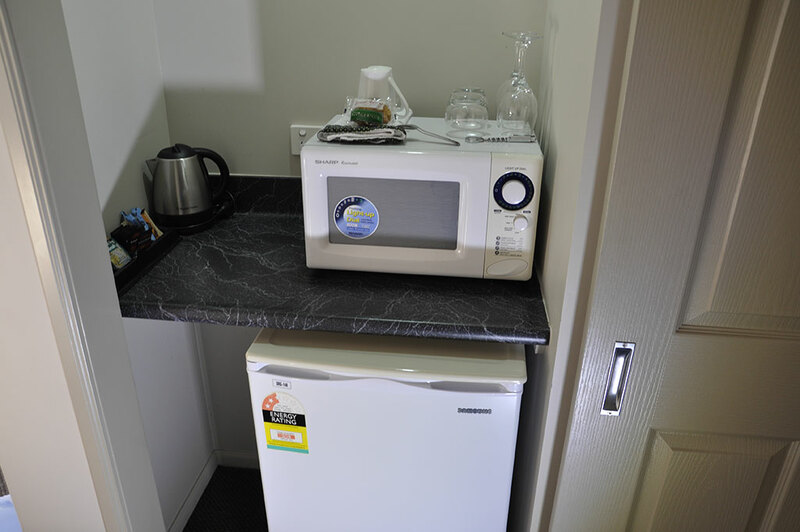 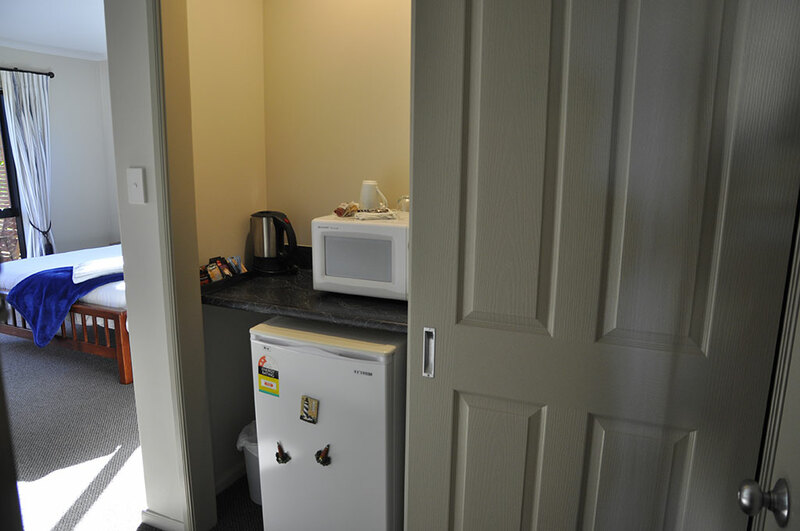 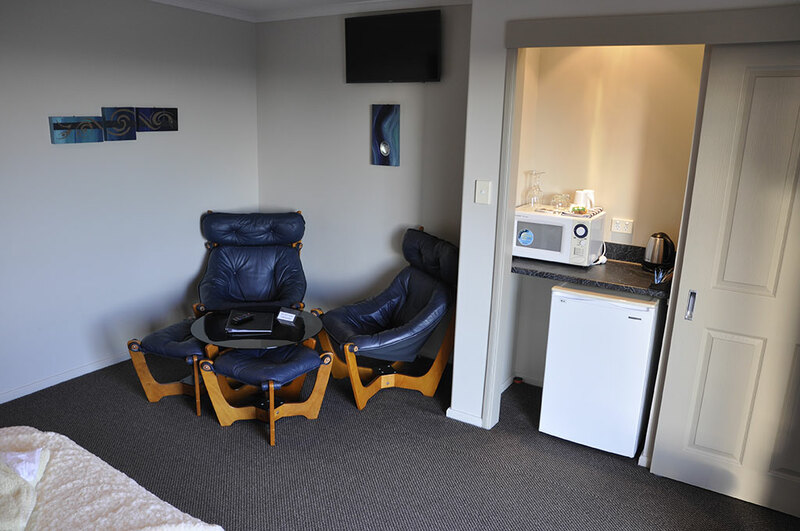 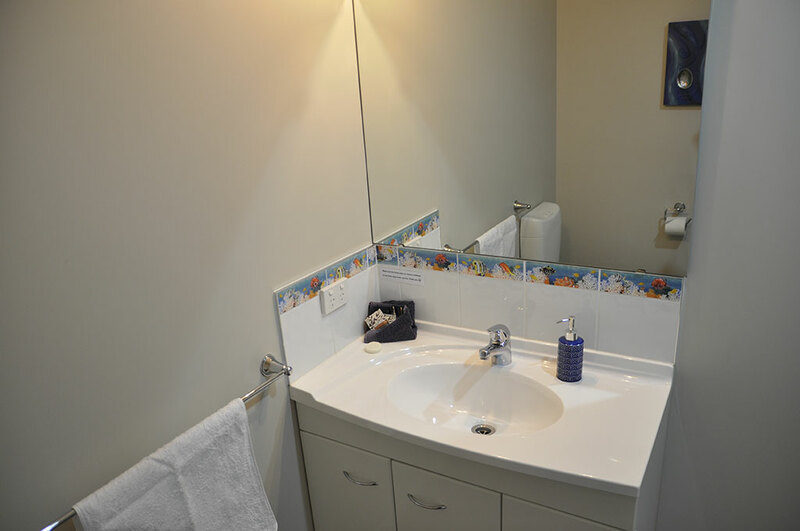 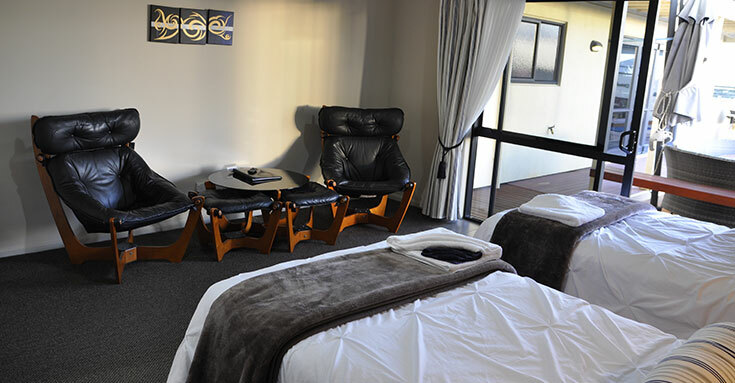 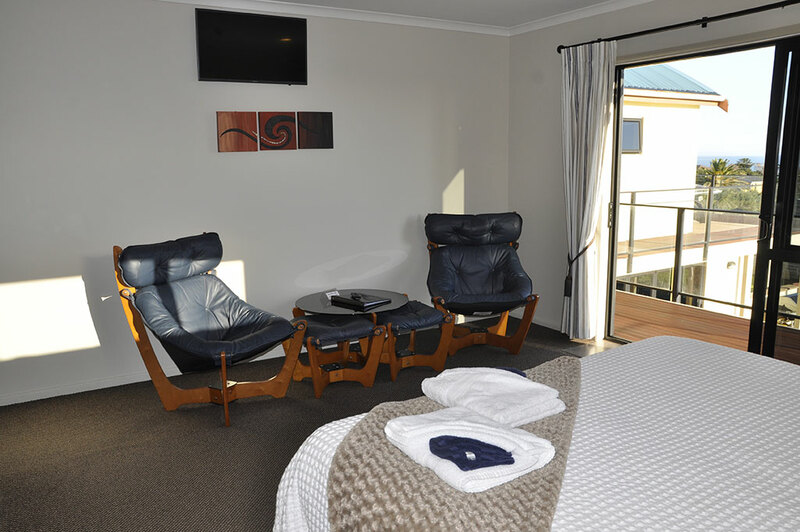 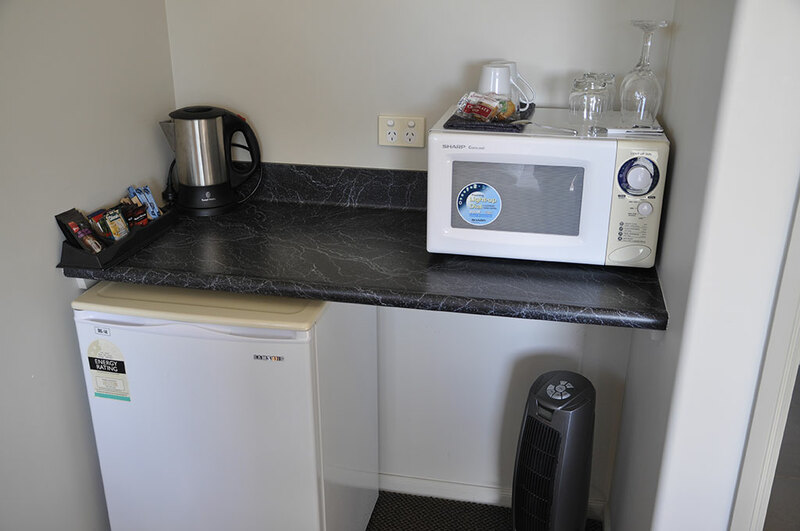 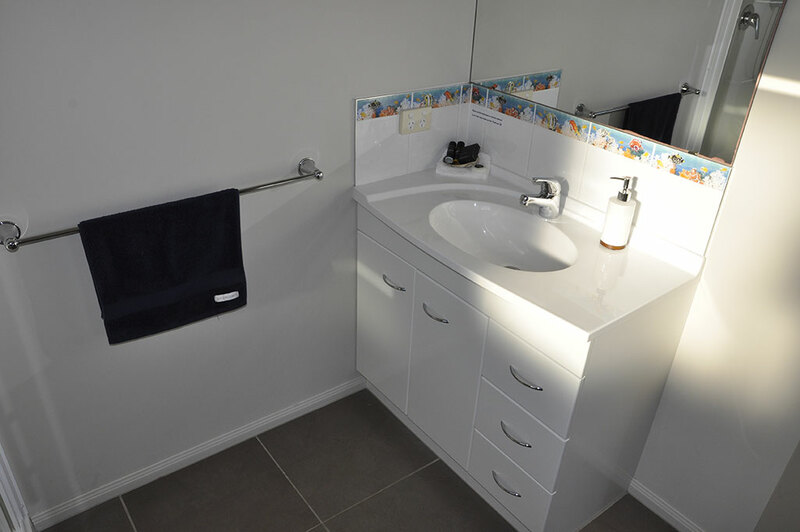 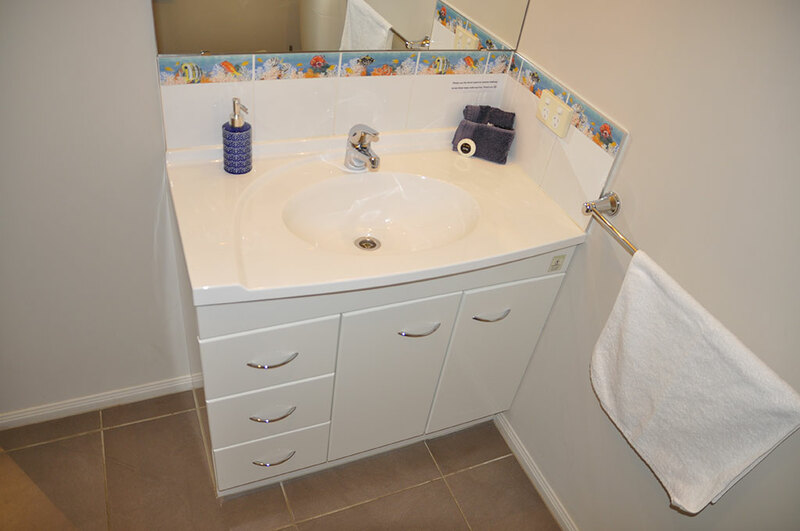 All rooms have clock/radio, hairdryer, heater, cooling fans and free Wi-Fi. 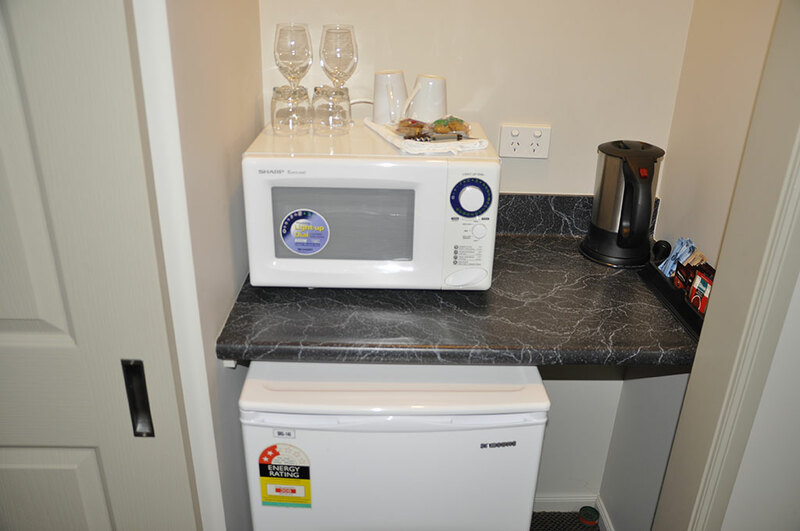 There is also a Guest Lounge/Dining Room, where continental breakfast is a buffet self-service. 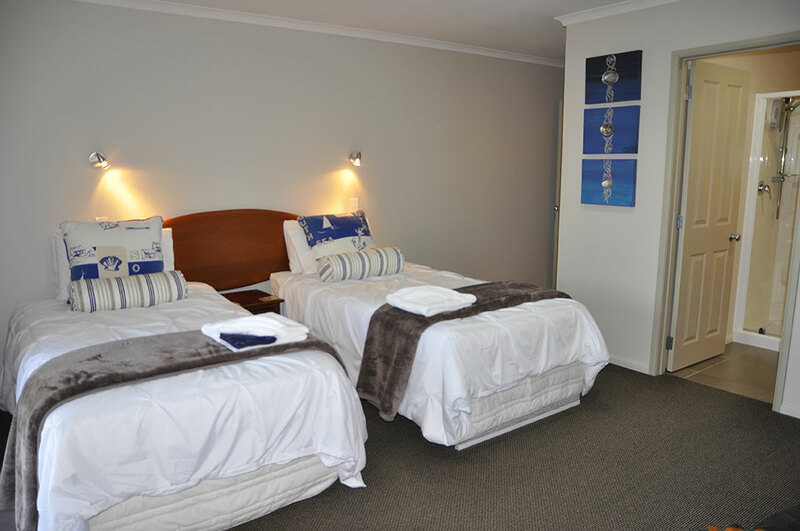 The guests may also use this room anytime for the use of the library, watching DVD’s on the big screen TV, board/card games, or simply socialising with other guests. 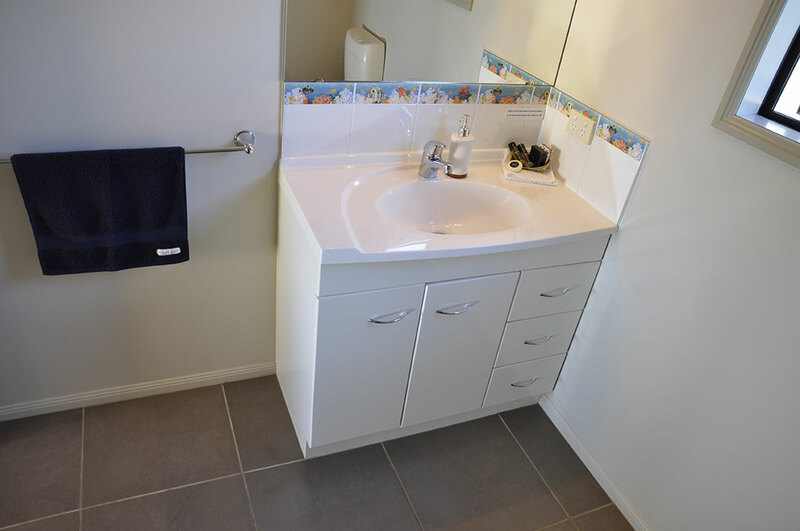 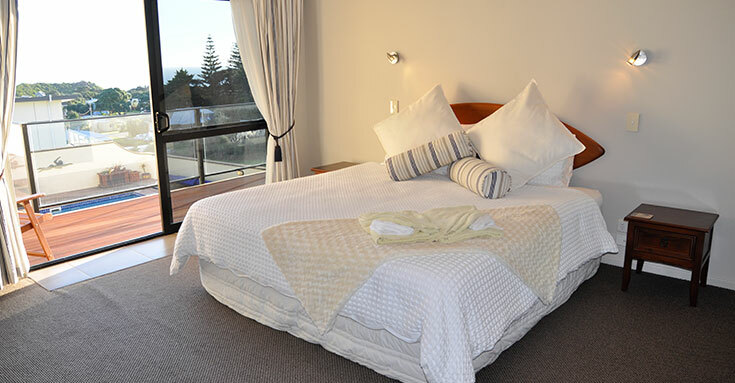 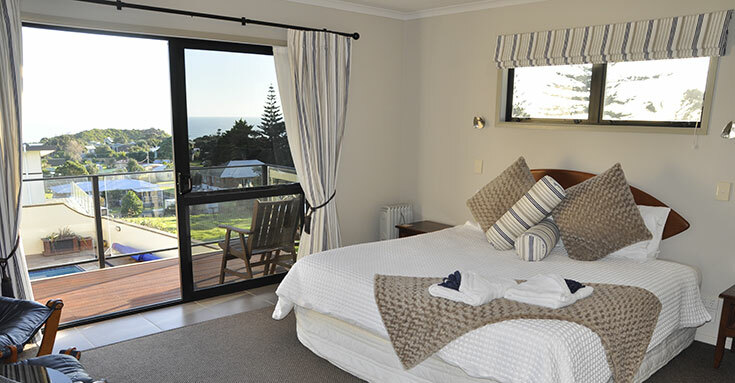 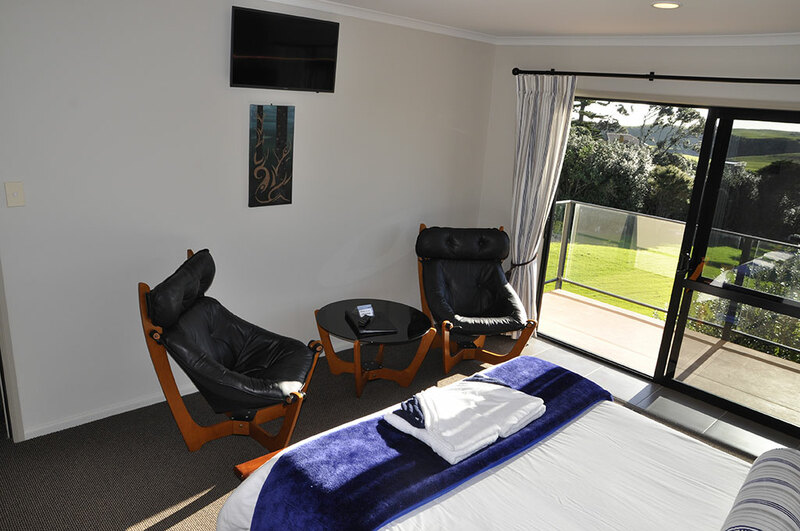 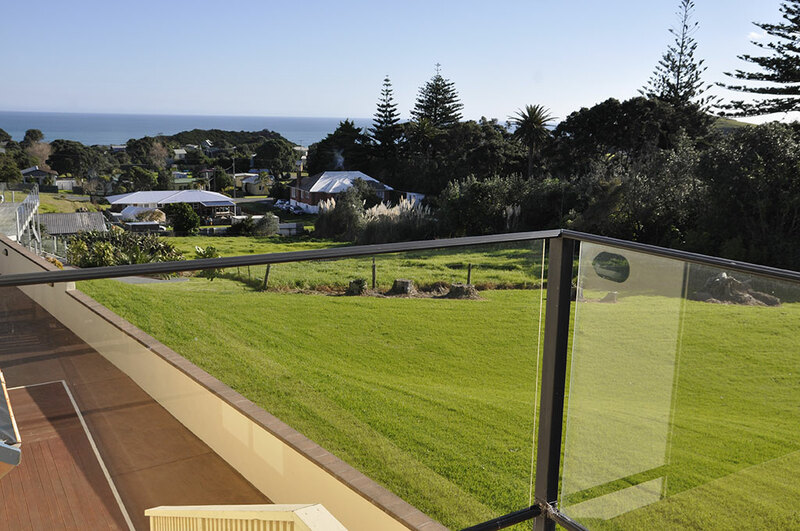 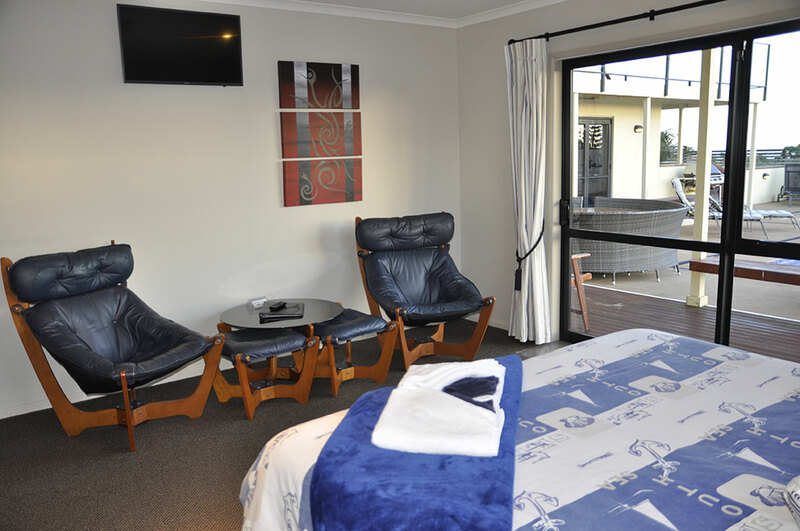 This suite is located on the top floor and offers panoramic views of the Tasman Sea.